Today’s world is designed for the socially confident and outgoing, but what happens when your child isn’t? 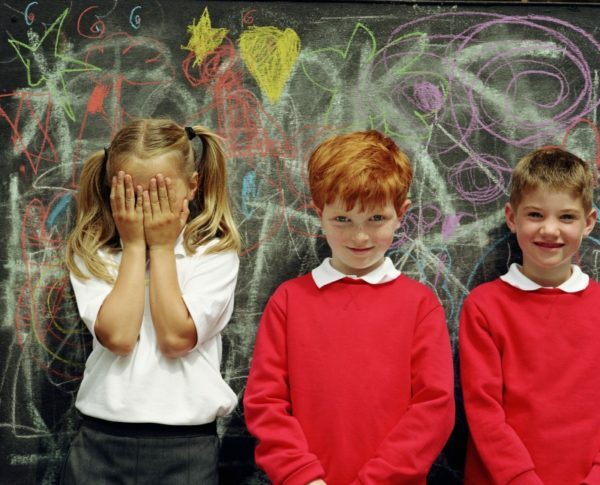 Here are 8 things you might not know about introverted kids and how you can encourage them. The pressure for children to be extroverted these days is huge and it starts young. Playdates and parties are not what they used to be with an overload of stimulation and interaction; children are going to daycare earlier instead of staying at home quietly with mum; and even preschools now expect kids to stand up at least once a week and give a news talk. On some level it could be considered a good thing because it’s preparing children for the extroverted world we now live in (with things like public speaking now being a big component of primary school), however for some it can be frightening and completely out of their comfort zone. Shyness is a behaviour that happens in certain situations when you might fear social judgement or embarrassment and it’s something that can pass or you grow out of. In comparison, introversion is a deep-seated character trait that will probably remain for life, where you simply prefer quieter environments. The word ‘shy’ often has negative connotations associated with it as well. Avoid labelling introverted kids as shy as they may start to view their innate quietness and temperament as a negative, when in fact they just need to understand it as a different – not inferior – way of going about life. 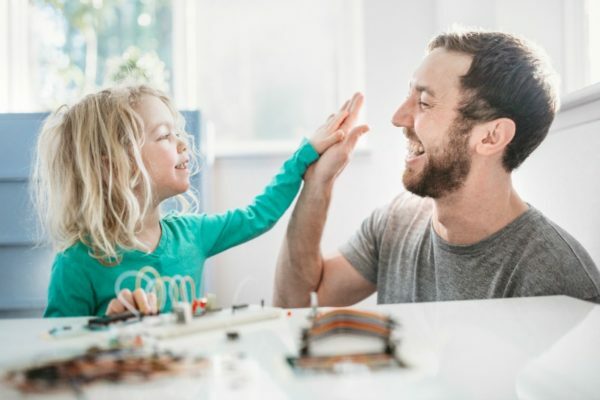 It’s been proven that the brains of introverts and extroverts work differently, so although sometimes temperaments can be shaped through parenting, generally an introvert is genetically wired that way from birth. Instead of using the sympathetic side of their nervous system (fight or flight response), they use the opposite parasympathetic side (rest and digest); and are likely to spend more time in abstract thought and decision making. For a parent who is an introvert themselves, they may not see anything particularly odd about their child’s behaviour; but for many others they may find it incredibly confusing or frustrating. Sometimes they’re chatty but mostly they’re silent and you don’t know what they’re thinking. Or perhaps they’re hanging back at the park watching others instead of joining in, they might only have a couple of friends, or love spending time alone. This could be the complete opposite of how you and your partner behaved as children, but so what? It doesn’t mean your child is weird, depressed or anxious if they don’t feel like joining in for ‘pass the parcel.’ If they were outgoing to begin with and then became withdrawn then this might be reason for concern, but otherwise you just need to accept they’re an introvert. Who doesn’t love a bit of peace and quiet? Parents worry night and day about their kids, but a lot of the time it’s unnecessary – as often is the case with introverted kids. You might be freaking out that they don’t have many friends, or that they might be labelled weird if they don’t respond when people say hi; but generally speaking they’re completely happy and comfortable with the way things are. An introvert might have the best day of their life at daycare even if they didn’t talk to a single soul, so don’t mistake quietness for sadness. 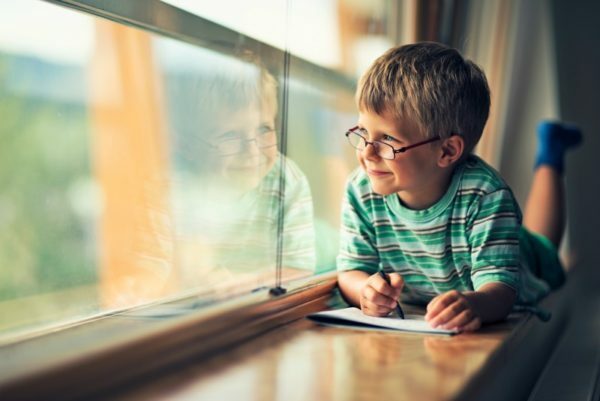 It might be tempting to try and get your child to ‘snap out’ of this ‘phase’ you think they’re going through and become a super outgoing little person ready to take on this extrovert-ruled world; but this approach won’t help. Introverts will not respond well to being forced into social situations they don’t like, being made to speak to people, put on the spot or to perform, or being made fun of or embarrassed. They also don’t like being dragged off to too many activities back to back, or for you to talk over them or for them (such as finishing their sentences). Many introverts have gone on to become famous and successful, such as Albert Einstein, Steven Spielberg, Bill gates, JK Rowling, Hilary Clinton, Meryl Streep, Mark Zuckerberg, Christina Aguilera and Barack Obama. An introvert’s super power is achievement and contribution because of their solitary, careful quietness – not in spite of it. There are lots of ways to help nurture an introvert to help them be happier and succeed in life. Some of these include introducing them to new people or situations slowly, accepting that they may want to leave a party early or not take part in an activity, not making them feel weird or odd for behaving differently to other children, praising them when they take a social risk and teaching them to stand up for themselves (such as saying ‘no’ if another child takes their toy). Another way to help an introvert is to let them discover and pursue their passions (even if they’re a bit quirky), and ask a lot of questions as they may not always be forthcoming with the things happening in their life. Are you raising an introvert? How do you help encourage them be the wonderful and unique person they are?